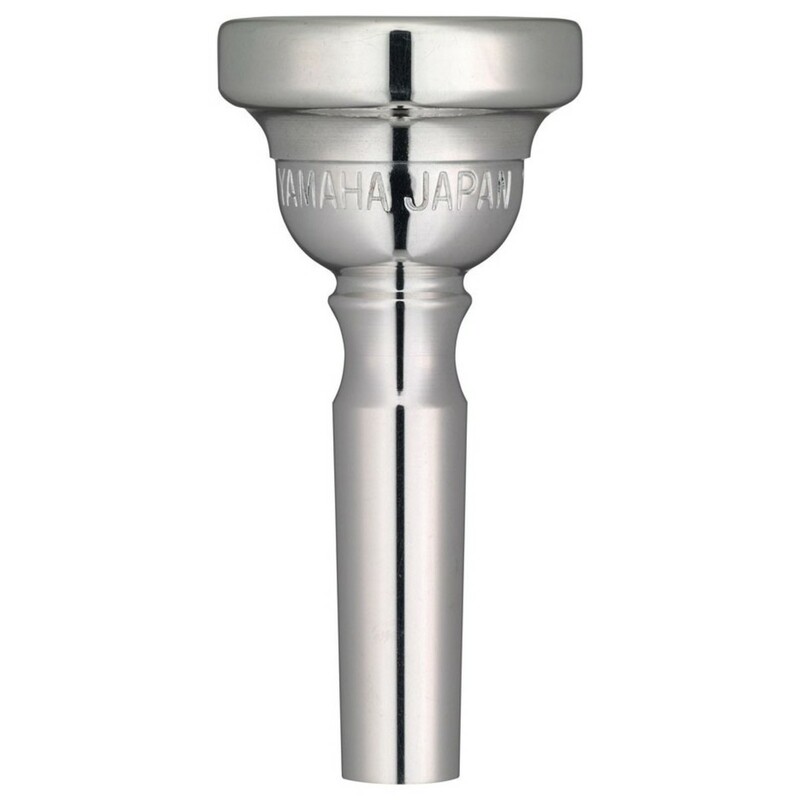 Yamaha 11C4 mouthpiece is a precise, easy playing and reliable way to compliment your cornet?s sound. The 11C4 mouthpiece combines a medium sized rim diameter with a standard sized cup depth to achieve great playability, and is great way to get a familiar, recognisable feel. The medium size means the 11C4 is an extremely versatile mouthpiece, and can manoeuvre your cornet to play a wider variety of tones. This mouthpiece is an ideal choice for students wanting to extend their range, without distancing themselves from familiarity. The combination of a medium sized cup diameter and a medium cup depth allows for ease of play and tonal flexibility across all ranges. This helps produce a focused and rounded sound perfect for the developing student. The 11C4 Mouthpiece has a semi-flat and Medium thickness rim shape, which provides more comfort for the lips. This helps increase endurance, particularly when playing in the higher registers for extended periods. This particular Yamaha Mouthpiece comes with a Medium-Small sized Throat. This means that it will produce a crisp and powerful response to all registers of the instrument due to having a little more resistance than a larger throat mouthpiece. Rim Shape: Medium Thickness and Semi Flat.